On a warm evening in early May, British rock outfit Catfish and the Bottlemen took to Montreal’s Corona Theatre. 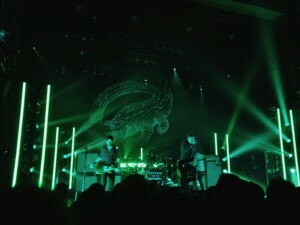 Lead singer Van McCan started the band in 2007, eventually adding members Benji Blakeway, Robert “Slideshow Bob” Hall, and Bondy to the lineup, and ultimately scoring a deal with Communion. The set slowed down for a moment before the encore as McCan appeared alone with a guitar to perform “Hourglass,” a sweet acoustic love song. Catfish usually does not include this number on their set list, so the crowd relished in the treat by singing along and rewarding McCan with loud rounds of applause afterwards. Next came “7,” which begins with lyrics “Larry, call a lot of smoke in/I wanna lose a couple days.” The song resonated with the crowd: cheers emerged in moments of quiet, and people danced like they had not earlier in the set. Catfish finished their hour-long with “Tyrants,” a track from their debut album full of loud guitars and plenty of classic rock riffs. 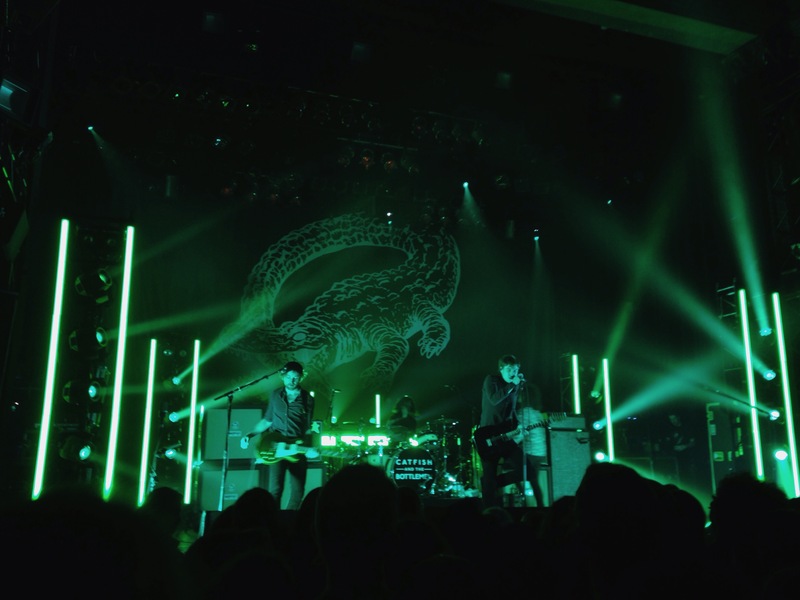 Overall, Catfish and the Bottlemen brought immense energy and excitement with their performance. The songs were fun and upbeat, but usually followed a similar form that detracted from the band’s freshness and originality. Nevertheless, they brought an entertaining, cool set that harkened back to a traditional rock feel that left the crowd dancing and smiling throughout their performance. This entry was posted in Reviews and tagged caroline macari, catfish and the bottlemen on May 10, 2017 by CKUT Music Coordinator.